Customer service has gone beyond calling or answering your customer’s call. It’s time to start using co-browsing technology to improve communications with customers and make them feel as though they were in the same room with the customer agent, guiding them accordingly and fixing their problems in real-time. Complex transactions can be boring and discourage the customer at the other end. But if you share the web browser or screen with them, you can help them fill forms, try product demos, complete an order, and so on. When it comes to customer service, many people have argued that both co-browsing and screen sharing will play a key role in the future of customer service, and it’s true. So before going into in-depth analysis of co-browsing, let’s understand differences between co-browsing and screen sharing. Screen sharing applications have been here for quite a while, however, their downsides led to the development of co-browsing solutions which is a better alternative. Co-browsing solutions allow the customer service agent to be on the same page with their customer while helping them to fix their challenges. With that being said, I’ll explain in detail why co-browsing (and not screen share) is preferred and is the future of customer service. Co-browsing allows your clients to take control of their computer systems and protects their privacy. Co-browsing allows the agent to see only your browser screen — even at that, the customer can also restrict the agent from accessing other tabs, and other parts of their screen which contain sensitive information. For example, a field that requires you to enter your credit card details will be a sensitive field you don’t want to expose. 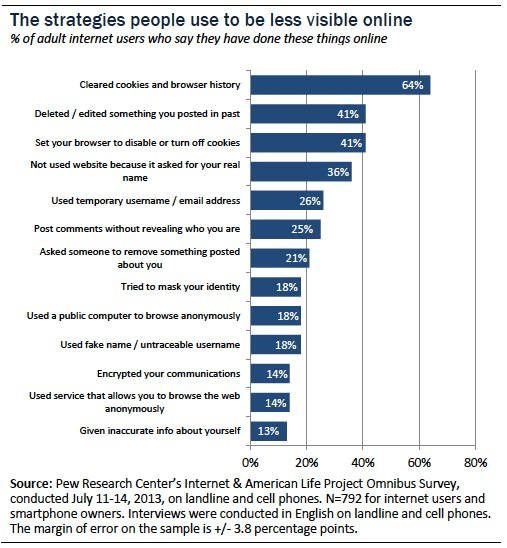 Studies show that many internet users are making continuous efforts to stay anonymous online and to stay protected. Therefore, it’s important you stick with a solution that is designed with this in mind. If you care about your customer’s privacy and wants to deliver quality customer service experience, you should consider co-browsing. When it comes to co-browsing, your customers don’t have to install any software. All they need is their browser. So no matter the device they are using to access your website, they can quickly have a co-browsing session with your customer service agent if they have challenges using your website to complete their orders or have challenges filling forms, and so on. You don’t have to direct them on what to do, you can request to co-browse with them, once accepted, you can see what they are saying as it happens in real-time and help them solve the problem quickly. In this competitive world, it is very important that you meet your customer’s expectations. You should take every opportunity to deliver best services to your customers. Reports show that more than 70% of online customers expect that their queries get solved within 5 minutes. Customers get satisfied and become loyal to brands when their issues get resolved the first time over the call or chat. Companies can meet their customer’s expectations and increase satisfaction by using services like Chatbot, co-browsing etc. Using real-time features like co-browsing will help to retain customers and attract new customers and improve business performance. With the help of co-browsing, problem resolution is so fast, this boosts customer satisfaction. Co-browsing allows agents to see customer’s browser and can see where customers are facing issues. At the same time, customers can see what exactly agents are doing and how problems are resolved, thus this will build a trust and customer s will consider themselves as a part of your company and will get loyal to your brand. Since clients and customers are not required to download and install any software before they get support, it will increase the speed at which you respond to their questions. According to Aberdeen, 78% of customers are satisfied when they use a co-browsing experience compared to 47% who say they are satisfied using a web self-service. Everyone knows that a happy customer is a loyal customer, a good co-browsing experience will not only make your prospects and customers happy, and it will also make them feel like they are a part of your brand. 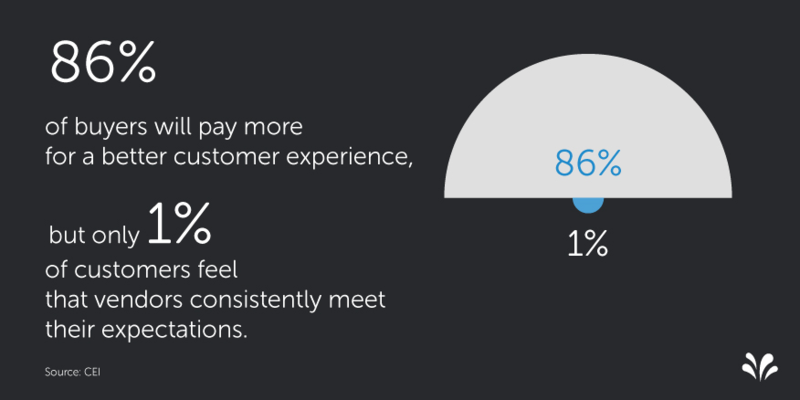 No wonder 86% of customers will pay more for a better customer service experience. While co-browsing allows you to have a one-on-one contact with your customers, it doesn’t put you inside a box. It allows you or your customers to visit other websites while in a co-browsing session. So if you want to get more information on Google search engine to give your customer further support, you can easily do that without losing connection with your customer. Co-browsing is truly effective in helping a customer end their frustration. A company can enhance their customer experience when buying products or service with a co-browsing and a call-back feature integrated into their website. And of course, it led to an increase in conversion and sales. A sales representative may help the customers to complete the purchase with the help of Co-browsing integrated into your e-commerce website. This will improve the online shopping experience of the customers. A lot of people drop off their carts when it’s time to give credit card details because of their fear issues. With the help of Co-browsing, a sales executive can assist the customers to fill out an order form. This will reduce cart abandonment rate considerably. With the help of co-browsing feature enabled in an e-commerce website, customer service team will be able to look at customer’s browser and will help them in completing the purchase. Customers get satisfied when their queries get solved instantly. This will result in higher conversion rate and thus will boost ROI of the company. There’s a peace of mind customers have when they know that they have someone out there (a customer agent) ready to guide them when they have challenges using a website, product, or portal. Especially when they don’t have to screenshot and write a lot to make the agents understand what their problem is. Co-browsing makes it a lot easier to guide your prospects through to the bottom of the sales funnel. You should consider using it today.